This is the story of how I became a fiddler. I’ve been fiddling for more than three decades. I’ve played fiddle across a wide range of genres. I’ve played in covers bands, bluegrass bands, folk groups and alternative rock bands, and bands that play Celtic music and Eastern European music for folk dancing. I’m a self-taught fiddler. But before I became a fiddler I had fifteen years of classical music education. I learned violin, viola and piano. However, I’m a very imperfect violinist in classical music terms. I used to feel ashamed about this. But I can play a fiddle in ways that plenty of brilliantly trained classical violinists can’t. My absolute favourite kind of fiddling is improvising with a band. Last year I kicked off the New Year on a high, jamming with a rock band at a party hosted by two musician friends, John and Chris. 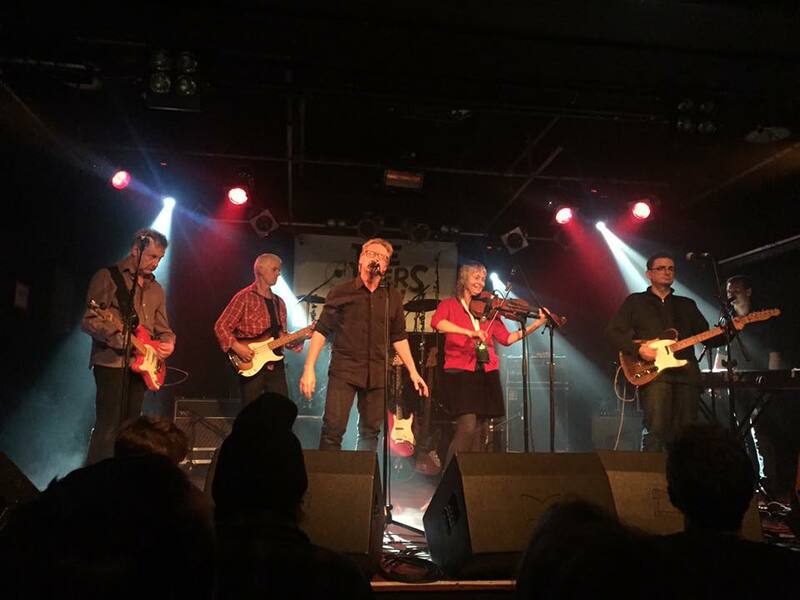 Fiddling with Sneaky Feelings and Don McGlashan, The Others Way Festival, 2017. What a blast! There’s something rebellious and mischievous about fiddling. Violin and fiddle are the same instrument, but played in different ways. Fiddle is a violin played in just about any style other than Western classical music. However, some classical violinists call their instrument a “fiddle”. Fiddling is linked to paganism all the way back to the 14th century. This is probably because fiddling is a powerful aspect of traditional dancing in pre-Christian celebrations. Protestantism in particular took a very dim view of folk dancing. In the 19th century the virtuoso violinist Paganini cultivated a “demonic” image. The 1970s bluegrass hit “The Devil and Daniel Webster” is a modern version of this. But generally violins are highly respectable in classical music. The violin (along with the grand piano) is an enduring symbol of the power and prestige of classical music. So, playing a violin in a way that isn’t approved of, or authorized by classical music – fiddling – is subversive and countercultural. The violin is almost a polar opposite of my other great musical love, the ukulele. The ukulele is small, inexpensive, easy and quick to learn and doesn’t have high cultural capital. Here’s my post about the joy of the ukulele. I was a misfit in the classical music world. I have very imperfect technique and a chronic inability to precisely reproduce something that’s written on a printed page. Even though I can theoretically do this, it just doesn’t seem like fun. Also, with classical music, you can never have good enough technique. There’s a lot of judgement and perfectionism. There’s always someone better than you. An orchestra violinist told me that most of her colleagues consider themselves failed soloists. Fiddling is much more fluid and variable than classical violin. You’re not reproducing a particular score written by a composer. There’s a lot more scope for individual expression. Fiddling is about rhythm as much as anything else. Whereas classical violin is mostly about playing melody. There’s very little that’s spontaneous or playful about classical music. I’ve known just a handful of classical musicians who make music in a playful way. Most don’t think this is relevant or part of what they should be doing. I loved Baroque music especially – Bach, Handel, Vivaldi, Telemann. Also Mozart. But you have to learn for many years before you get to play this music. There’s a lot of deferred gratification, and classical music is very unforgiving. I never did get to play any of Bach’s Brandenburg Concertos. Playing fiddle for a video made by Flying Nun band the Able Tasmans, 1991. When I first started playing violin, I wanted to be a fiddler. I’m not sure how I knew this. I started learning violin because my aunt Mary, my mother’s sister, gave me her old half-sized violin. My first choice would have been guitar, or ukulele, but they weren’t on offer. I had a huge drive to make music, so I wasn’t going to turn down any opportunity. I was sent off to violin lessons with a grumpy, scary teacher called Mrs Paulsen. When I got home I eagerly took my violin out of its case, to show what I’d learned. And then all hell broke loose. The dog started howling and my father started shouting. I was banished to the back bedroom, where nobody could hear me. For the next 10 years, that’s where I stayed. Somehow I kept going. Most of the music in my beginner violin book was folk tunes. I knew that this music existed somewhere off the printed page. I just couldn’t find where it was. My mother owned old bluegrass LPs and my father had records by The Dubliners. I could hear fiddle players on those recordings. But I’d never seen anyone playing fiddle. 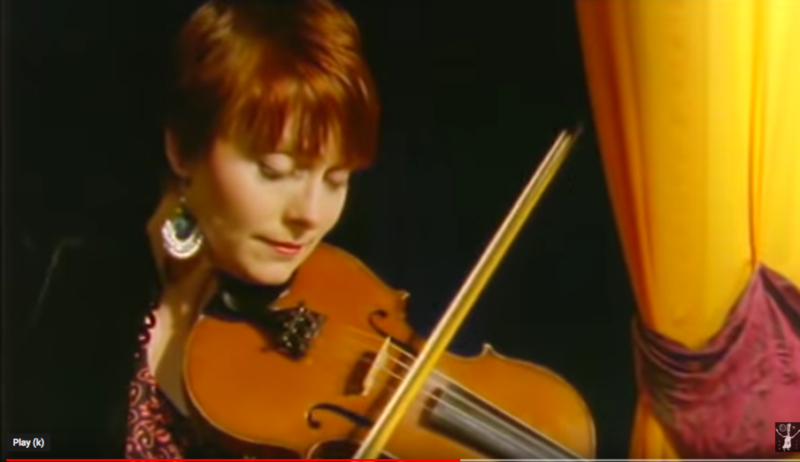 Many years later, I found that there are fiddles in folk traditions throughout the world: some of the most famous are Irish, Scottish and Scandinavian. 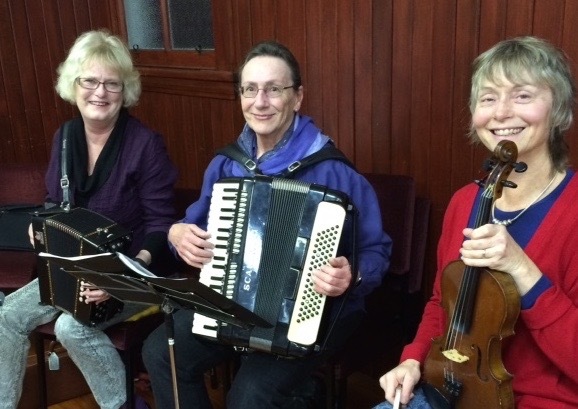 Fiddles are also central to Gypsy music and Klezmer bands (think Fiddler on the Roof). Fiddles crossed the Atlantic to North America and contributed to many popular music styles: Cajun and Cape Breton, “old time” music, blues. They’re common in modern country music and bluegrass and Western swing. You can also play great jazz on a fiddle. Most of these styles of music are commonly played on standard violins. But there are also many violin variants, e.g. the Scandinavian Hardanger fiddles. Wales has the crwth, which isn’t really a folk fiddle, but a high-culture bardic instrument. A crwth is like a violin from a parallel universe. Folk dance fiddling: the Matangi Minstrels taking a well-earned break from playing for dancers, 2016. From left: Glenda Nolan, Sonya Mitchell and me. This section is about my long and roundabout journey to fiddling. In the course of my fiddle journey, I’ve played in most of these fiddle styles. But I’ve never found one style, genre or tradition that feels like “home” to me. I’ve gradually got used to the idea that I’m an individualist as a fiddler. In my first few years of violin lessons I had a string of teachers in three different countries, with big gaps in between. Each new teacher would start me off from scratch with their particular style, and I’d be playing boring studies and scales for hours on end. The part of me that desperately wanted to make music (I’m not sure what to call it – my muse or my soul) vehemently didn’t want to play scales and studies, even for 20 minutes! On top of this, I had undiagnosed Post Traumatic Stress Disorder – nobody knew what it was in the 1970s. Performing on stage, or doing exams or auditions, was very unrewarding. I’d freeze up like a rabbit in the headlights, and my brain would go foggy, and then my hands would start to shake. Eventually this happened enough times so I didn’t expect anything else. Despite this, I managed to get as far as the first year of a music performance degree in viola at university. But I had nowhere to practice. Viola playing wasn’t appreciated by my fellow students studying for engineering exams in the halls of residence. The music department practice rooms weren’t open at night or on the weekends. And room booking priority was given to senior students. Then a viola player in the last year of her degree, two years ahead of me, failed her final examinations for playing Bach in the wrong style. It was a musical demarcation dispute between the examiners and the teacher (not uncommon in the classical music world). It didn’t stop my fellow student, who was determined to get a job in an orchestra. She repeated her final year, choosing to play only 20th century music so the examiners wouldn’t take issue with her style. But it was the last straw for me. I gave up my dream of playing the Brandenburg Concertos. I finished the year, passed my performance examinations with the help of Halcion, and abandoned my formal music studies. I dropped out of music for a few years. I went to journalism school and got a job at a radio station. When I wasn’t making music I didn’t feel like I was alive. But I couldn’t find a way to make music that worked for me. My chance to play fiddle came in a roundabout way. In 1985, at the age of 23, I went travelling across the USA. I took a summer job on the front desk of a hotel in a national park in Montana. The hotel was famous for hiring young musicians as hotel staff. My aunt Mary kindly lent me her violin for the summer. And I found that I could play fiddle, and improvise, and jam with other musicians. It was an amazing feeling. A whole lot of things started making sense for me. While I was fiddling in the mountains, Bob Geldof’s Live Aid was taking over global televisions, and the Rainbow Warrior was blown up in Auckland Harbour. I discovered that when I was improvising, I wasn’t hamstrung by PTSD. That mainly kicked in when I was playing off a written score. 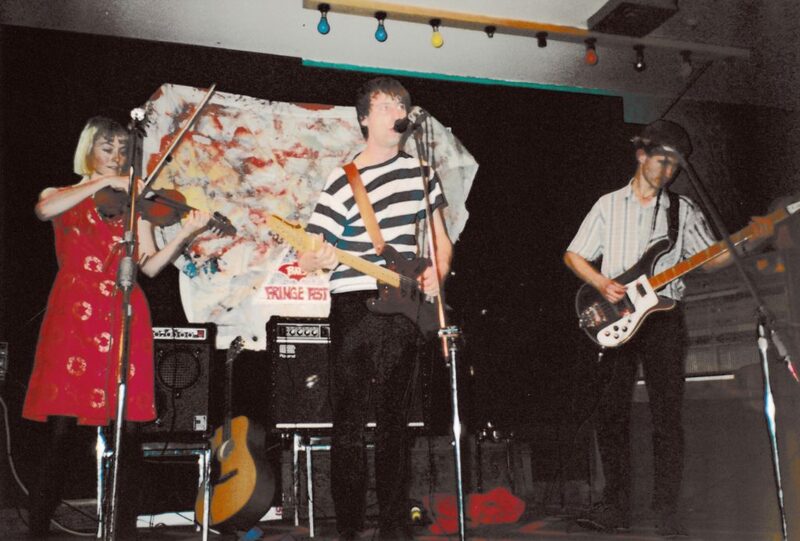 Off the written charts: The Dribbling Darts of Love at the Wellington Fringe Festival, 1990. Me, Matthew Bannister and Alan Gregg. After that summer I went looking for role models to learn more about fiddling from. I realized that most of the famous fiddle players (Vassar Clements, Mark O’Connor, et al) are virtuosos who feature fast and furious performances of complicated, difficult parts. I couldn’t reproduce what they were doing, even if I wanted to. And besides, that wasn’t the kind of music I wanted to play. I bought a pile of “how to play fiddle” books, and found these even less helpful. The transcribed fiddle parts included the tunes, but they never captured the feel of the music. A lot of people think that fiddling is about learning to play in the style of particular fiddling traditions. The specific techniques and repertoire. And yes, that’s useful when you’re playing in a gypsy band, or a Celtic ceilidh group, or another fiddle genre. But for me, it has always been much more personal. My idea of fiddling is more basic than that. It’s about using the violin to make the music I want to play. When I’m not playing from a score, I’m connecting with the music, and with the other musicians, in a more direct way. Fiddling with a band feels like laughing, dancing, singing. It’s a feeling that’s hard to capture in words on a printed page. But it’s the most fun in the world. My sons, Tom and Albert, then aged 9 and 6. 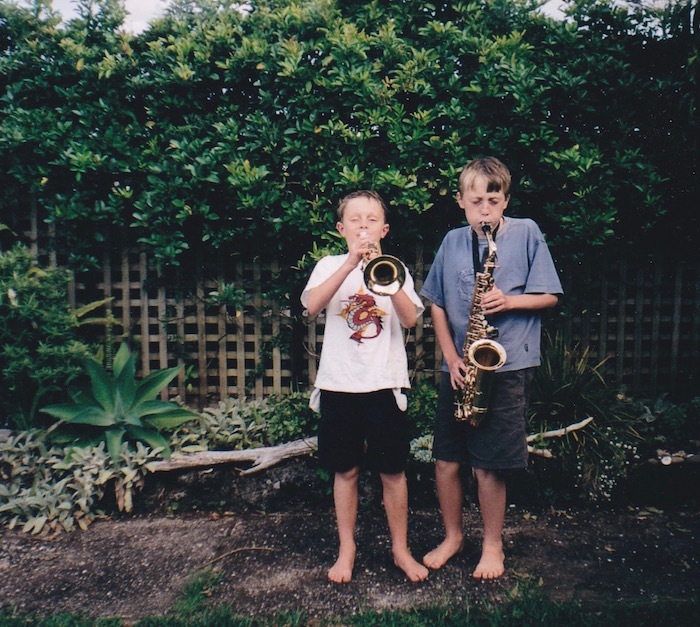 They choose their instruments – trumpet and sax. Not the fiddle! Join my mailing list to receive updates and occasional freebies. Alice Bulmer: music, ecology and living well in challenging times Copyright © 2019. Theme by MyThemeShop.